When it comes to orthodontic treatment options, there’s a wide variety of appliances out there. As well as fixed braces, there are also appliances that can be removed, commonly referred to as “plates”. Your orthodontist will recommend the best course of treatment depending on your child’s situation. However, it’s helpful to know the differences between how plates and braces work, and how and when they can benefit your child. We take a closer look at the differences between an orthodontic plate and braces, and compare their role in creating a beautiful smile. In orthodontics, a plate is a hard plastic device which fits around the top teeth, the bottom teeth or sometimes both. It uses wires and springs to push the teeth into position, or to hold them in place as other adult teeth enter your child’s mouth. The wires or springs are not fixed to the teeth, so the plate can be removed, unlike braces. In some ways, the fact that it can be removed is an advantage, as it means your child can take the plate out to eat and clean it. However if you want to achieve the best outcomes, your child needs to be committed to wearing it as the orthodontist advises. There are also more complicated removable plates known as “functional appliances”. These dental plates modify the direction the teeth and jaws grow in, especially in children whose upper teeth are protruding. Some people also refer to their retainer as a “plate”. A retainer is a removable plastic appliance, worn at night, after orthodontic treatment is completed. Find out more about how retainers work to help maintain a beautiful smile after orthodontic treatment. When are plates likely to be recommended by an orthodontist? Plates are usually worn by younger children to fix minor crowding or bite problems. Braces treatment, on the other hand, has the ability to fix both simple and complex problems. Therefore, if your child is around eight to 10 years of age and needs very simple orthodontic treatment, a plate might be a treatment your orthodontist will consider. However, braces are often a better option even for young patients, as they can generally fix problems much more efficiently and straighten all types of crooked teeth. Depending upon the situation, a child at this young age may only need to wear a small section of braces on just a few teeth for around six months. It’s also important to note that your child will be responsible for wearing the plate, keeping it clean and not losing it. For some children, this can be easier said than done! So when considering orthodontic options for your child, their willingness to co-operate and wear the plate consistently will form part of the discussion with your orthodontist. While plates are usually used to make smaller corrections, they are sometimes used early as a first phase of treatment. Whether your child has lost their teeth early or is experiencing misaligned teeth as they grow back in, early orthodontic for children can help reduce the amount of cosmetic corrections needed later in life. For example, a plate might be used in young children to close gaps or to maintain appropriate space between teeth for the adult teeth to grow into, as well as tip them forwards or backwards as needed. Braces are still generally required in a second phase of treatment during the teenage years to cosmetically align the teeth and establish a perfect bite, but an initial treatment during primary school can help prevent the need for more extreme tooth movements in their second phase. The best person to advise you on whether braces or a plate is the most suitable form of treatment for your child is your orthodontist. Your orthodontist will explain the specific advantages and disadvantages of any early orthodontic treatment that may be recommended for your child. Your orthodontist can also determine if early orthodontic treatment will be beneficial or whether watching and waiting is more appropriate. Orthodontists have over 4,000 hours of specialist training, and practice orthodontics all day, every day. You don’t need a referral from a dentist to be able to visit an orthodontist either, simply find your nearest specialist orthodontist online and book an appointment. 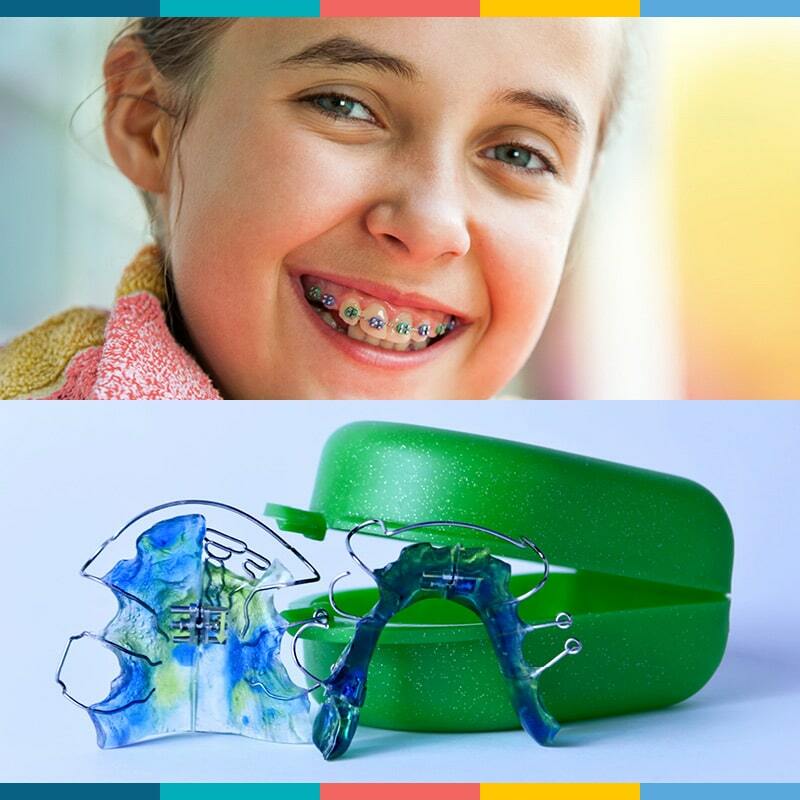 If you’d like to find out more about plates, braces and other orthodontic treatment options for children, you can download our free eBook about kids and orthodontic treatment. Which is more expensive plate or braces?